“Even our European friends sometimes say we’re not acting in the free world’s interest. This is just plain wrong, under President [Donald] Trump, we are not abandoning international leadership or our friends in the international system. 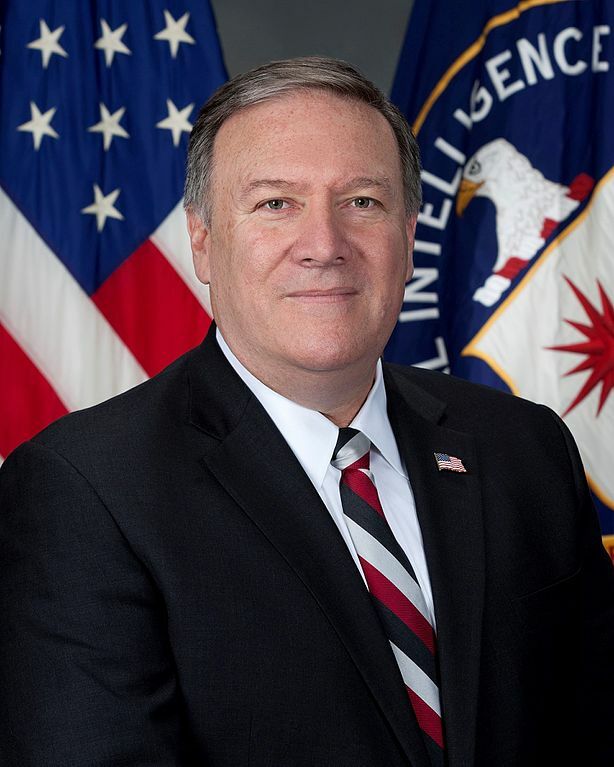 Indeed, quite the contrary,” Secretary of State Mike Pompeo stated during a speech in Brussels, Belgium on Tuesday. A globalist is a person that wants the globe to do well, frankly, not caring about our country so much. And you know what? We can’t have that. You know, they have a word — it’s sort of became old-fashioned — it’s called a ‘nationalist.’ And I say, really, we’re not supposed to use that word. You know what I am? I’m a nationalist, okay? I’m a nationalist. Nationalist. Nothing wrong. Use that word. Use that word. “Multilateralism has become viewed as an end unto itself. The more treaties we sign, the safer we supposedly are. The more bureaucrats we have, the better the job gets done,” the Secretary of State added during his speech. His argument is of a similar pattern to those against regulations, ironically the United States is currently undergoing a 5.1 million pound beef recall in addition to the romaine lettuce recall shortly prior. Both are influenced, if not caused by the food deregulations put into place by the Trump administration. The European Union was a powerful driving force in securing international agreement on climate change. Being able to speak as one united voice, rather than 28 single voices, helped cut through during climate negotiations – big markets are hard to ignore. The EU has established the first major carbon market and agreed ambitious emission reduction, energy efficiency, and renewable energy targets through its climate-energy packages, first for 2020 and now for 2030. “Does it continue to serve its mission faithfully?” Pompeo asked facetiously concerning the United Nations (UN). Seemingly dismissing the over 170 peace settlements the bloc has helped negotiate and the approximate 300 treaties they have helped broker. The UN has also been a proponent of humans rights, often critiquing the paleo and national conservative government of Israel for the treatment of ethnic minorities within the country; a fact which often draws criticism from the Trump administration. With the Trump administrations antagonistic approach to traditional allies of the United States, it’s unlikely EU or UN member nations will take much from Pompeo’s speech. At this point during President Trump’s term, most world leaders have grown accustomed to conflicting views statements from members of his administration, lies from the President, and continuous critique of how they conduct business. There likelihood Pompeo’s comments will change how they view international partnerships is nearly non-existent.